This entry was posted on February 5, 2019 at 1:06 AM and is filed under the ugly. You can follow any responses to this entry through the RSS 2.0 feed. You can leave a response, or trackback from your own site. I find this trailer too ridiculous. Too many animals like in a Zoo. Sanjay Dutt will be missed. Anil madhuri jodi is a bright spot. Audience taste is mysterious. They may make it 300 crore plus! If they can patronise Golmal returns, why not this Zoo returns. Ajay Devgn and Arshad Warsi. Hope they deliver with other talented comic actors. The cgi looks really bad. The animals don’t look convincing at all. The posters are also horrible. Too OTT. This looks aged and more like a Shirish Kunder / Farha Khan stupidity. Madhuri is the only bright spot here in the crowd of men. But i am getting a sense that she would again be wasted. Many regulars were missing for the last 2 or 3 days. Maybe because of weekend. You need to be more worried now as Indra Kumar will be directing Hera Pheri 3 now. Suddenly out of work and doing adult comedies or movies like Super Nani, Indra Kumar has 2 huge movies. Total Dhamaal and Hera Pheri 3. But he had lost his touch long back and that might reflect in these movies. True. I am now quite worried. He doesn’t seems to have taste for situational comedies. I always see Ajay misfit in comedies. He just cannot make me laugh. But amazing thing is he surrounds himself with better comic actors and gets mileage by being the bigger face in the poster. Thats correct. He needs his gang to shine as a comedy actor. This will most probably work. It seems in the lines of the first Dhamaal. It was an adventure/road movie. The second one was really disappointing. I hope they do not side-line the likes of Arshad Warsi, Ritesh Deshmukh or Jaffrey too much because of other bigger names. They were the driving force of the first part. On the other hand, the addition of actors like Anil Kapoor, Madhuri and Boman will certainly work. They are actors with good comic timing. Agreed over Devgan. I find him mediocre in terms of comedy. It helps that he is surrounded by actors who are very good in that respect. Ashish said that after watching the trailer, he got on a call with the makers and told them that it was a 200 crore plus blockbuster. Chowdhry couldn’t be a part of the movie because of his prior commitments. He stars in a daily show which relies on him, completely. With the dates clashing, Ashish had to let go of the film with a heavy heart and went on to say that he replied to the makers with crying emojis when shown an exclusive preview of the trailer. Anil Kapoor seems to be doing his part based on the trailer. Reminds of another Anil Kapoor movie – No Problem. It was horrible as well. I do think Indra Kumar has been successful with comedies, And he seems to know about the audience’s pulse. So, this might not a film for the critics but the masses may very much lap it up and it may turn out to be a success. From Dil to Raja, Ishq, the Masti series and Dhamaal series, Indra Kumar has shown a flair for comedies. I personally feel the first Dhamaal was quite entertaining and he got it really right there. I liked the first Dhamaal and worth repeat view, An outdoor comedy amidst great scenary is always welcome. Loved the part about the air traffic controller and his Namaskars. 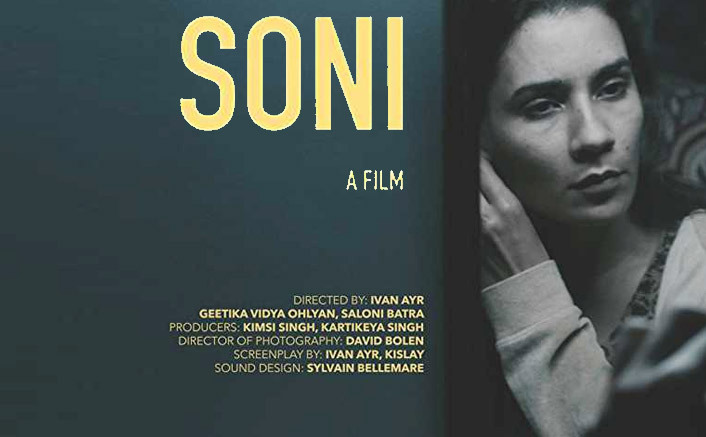 Meanwhile Soni on netflix is getting lots of praise. About lady cops. Subtle and meaningful. I liked Kalpana more than Soni. only liked ritiesh,j lever & jaffery to some extent ..that is it.. all others were trying to be funny but sorry no they are not including madhuri..but considering masses taste it might run up to 50cr.. don’t see it nearing 100cr in any scenario. Yes, agree its kids movie and ideally original release date for December would have been perfect but not sure now. The delusional Anil Kapoor is back, who thinks he’s next only to Robert DeNiro in terms of acting talent. Is there a need to remix/redo the old classics. Just have the old song as is. Not only you are butchering the song with visuals, even the audio is lousy. Wonder how many songs in this movies are old remix. Quite a silly scene but would get claps in theatre thanks to Madhuri. Glad Mads is getting right roles now. She does comedy quite well. Was a hoot in HAHK, Tezaab and Dil.